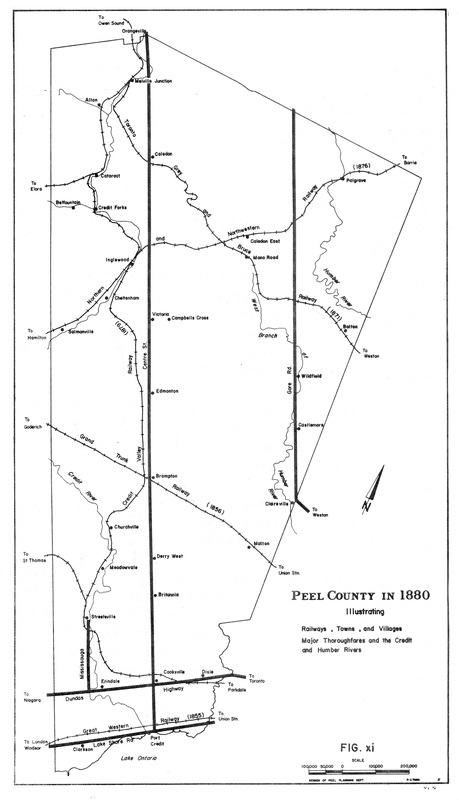 The various railway lines that eventually criss-crossed Peel were a major factor in the development of the area from the mid-1850s onwards; the arrival of a railway station in a community meant that it would benefit from increased traffic, commerce, development, and connections to locations both within and beyond Peel. 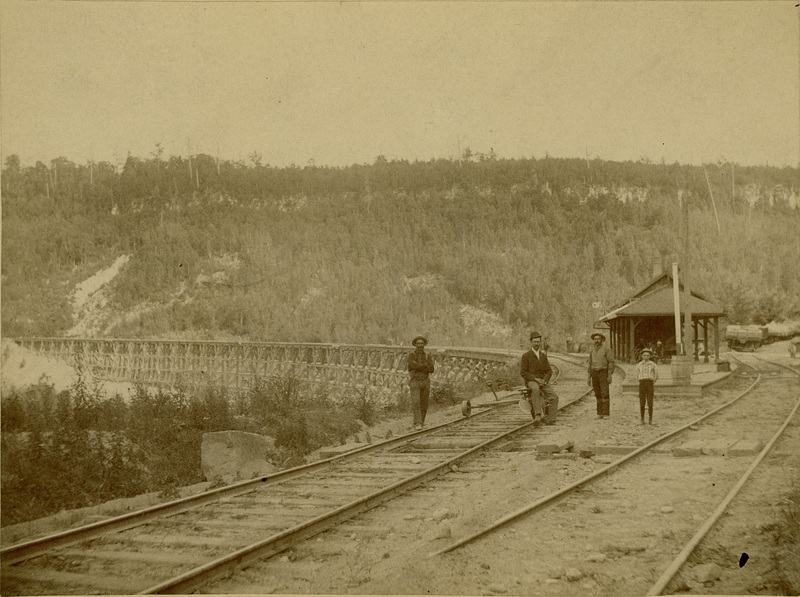 Those settlements that were connected to the railway grew and prospered while others declined and often vanished. This map, commissioned in the early 1930s by Peel historian Wm. 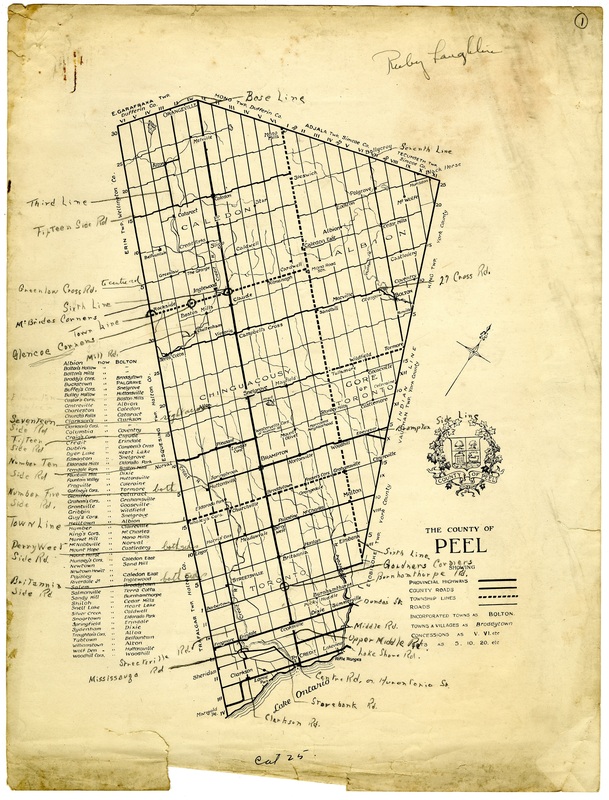 Perkins Bull, documents early settlements in the Peel area, including Streestville, Brampton, and Caledon East, as well as lesser known settlements such as Pucky Huddle, Alloa, and Lockton. 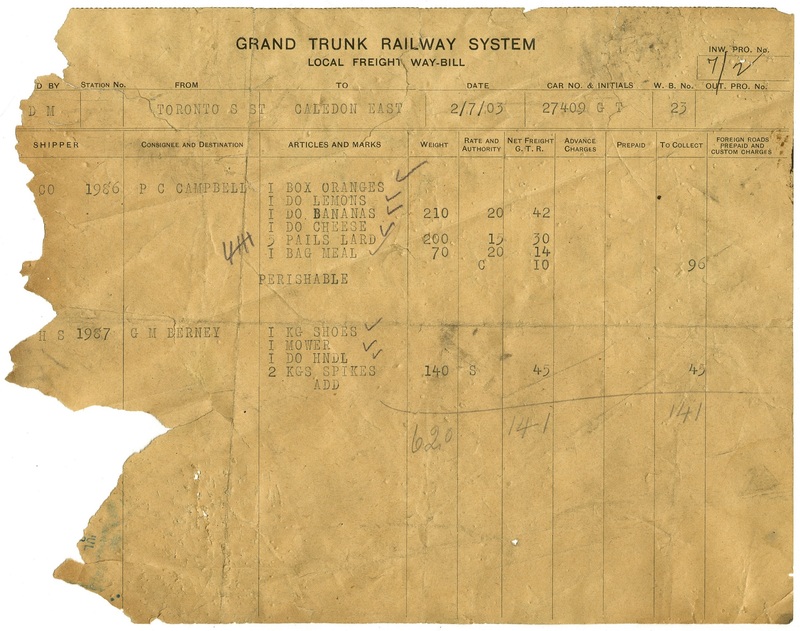 Given their significant role in the community, it is of little wonder that the records created by the railways are of interest to archivists and historians. 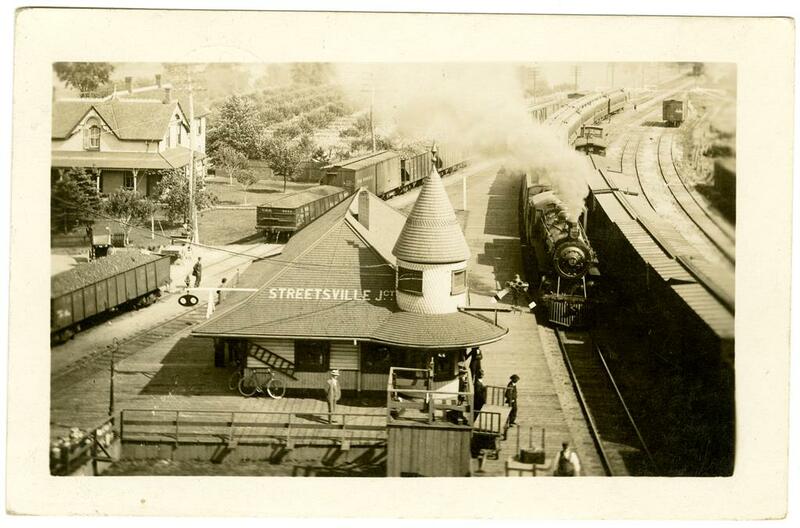 So, we are very pleased to announce that due to a number of donations and government transfers last year, we now have substantial records documenting activity at Streetsville, Brampton and Caledon East railways stations. 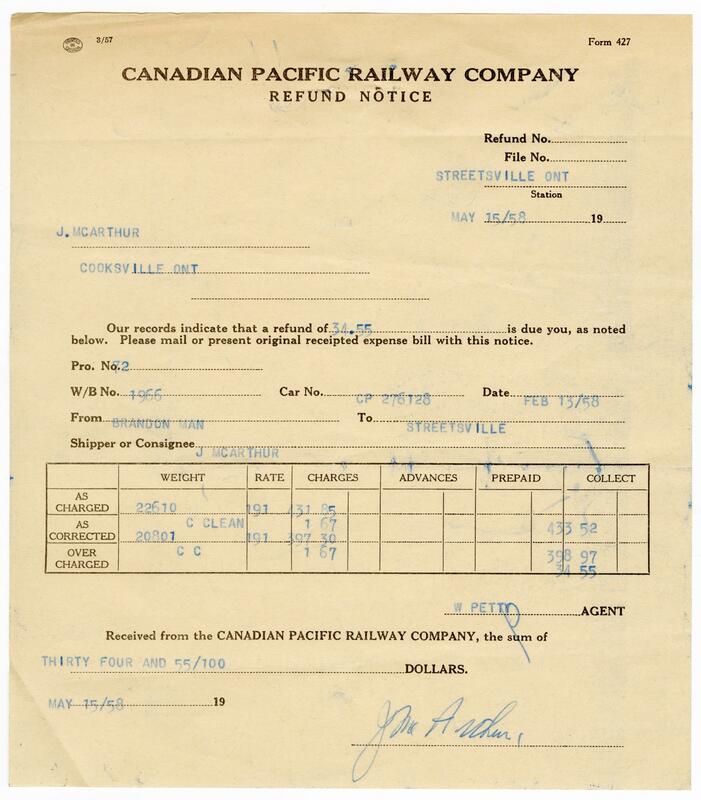 Previously the bulk of our official railway records were from the Brampton area, but now our patrons can also consult records created and used by railway officials in Mississauga and Caledon. 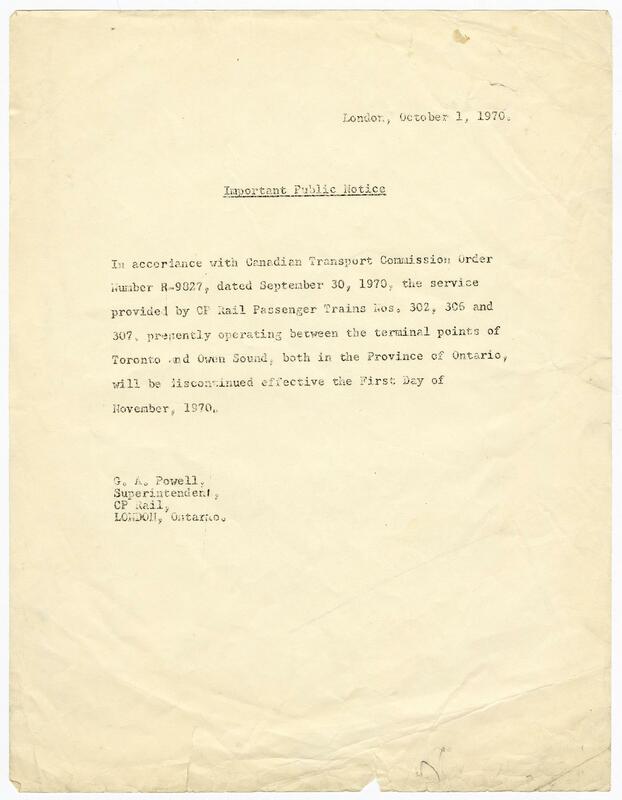 Fonds consists of records created and/or collected by railway company staff working at the Streetsville railway station, and includes remittance and cash books, code of safety rules and safe practices, and various company forms. 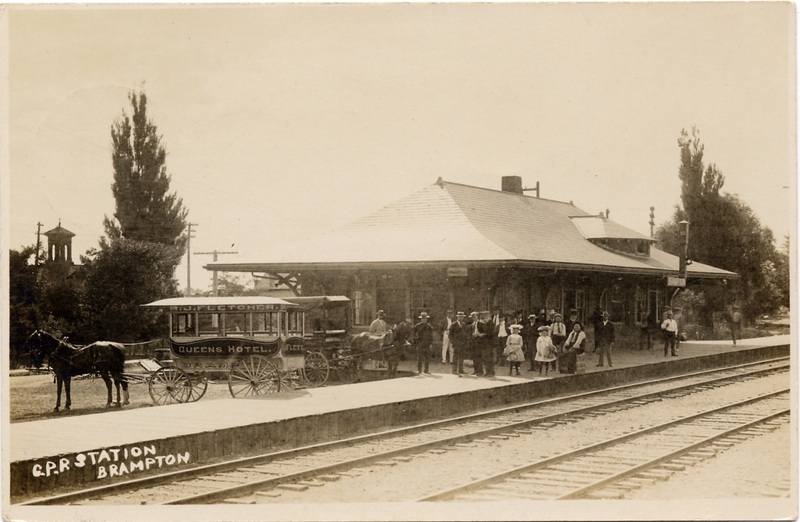 Fonds consists of records created and/or collected by staff working at the Brampton CPR railway station. 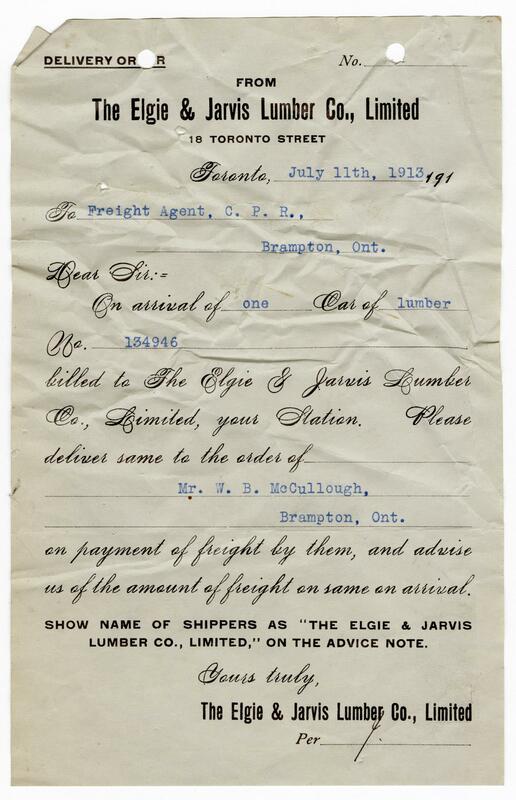 Records include waybills, telegrams, correspondence, memos/circulars, tariff policy documents, receipts, cash and ticket books, blank forms, newspaper clippings, and other material. 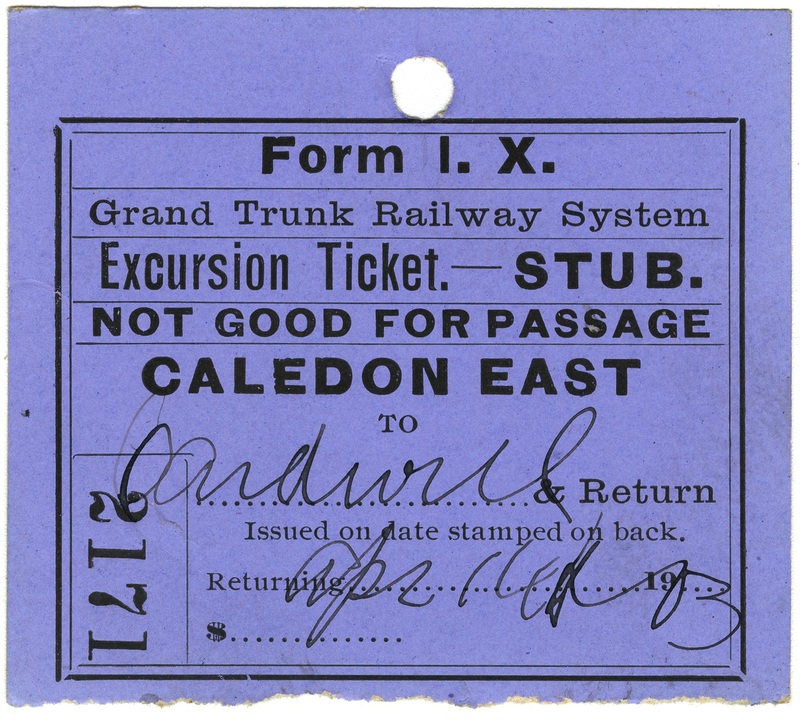 Many of the records were created or collected by Station Master E. A. Hay. 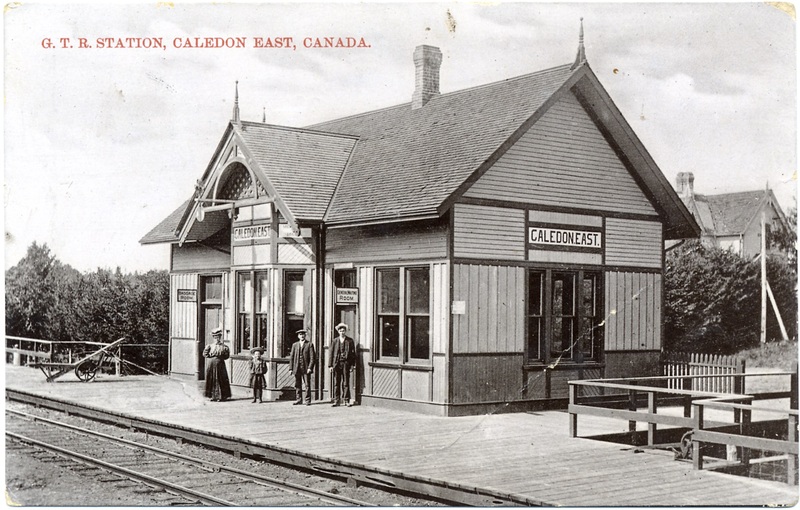 Fonds consists of records created and/or collected by railway company staff working at the Caledon East railway station. 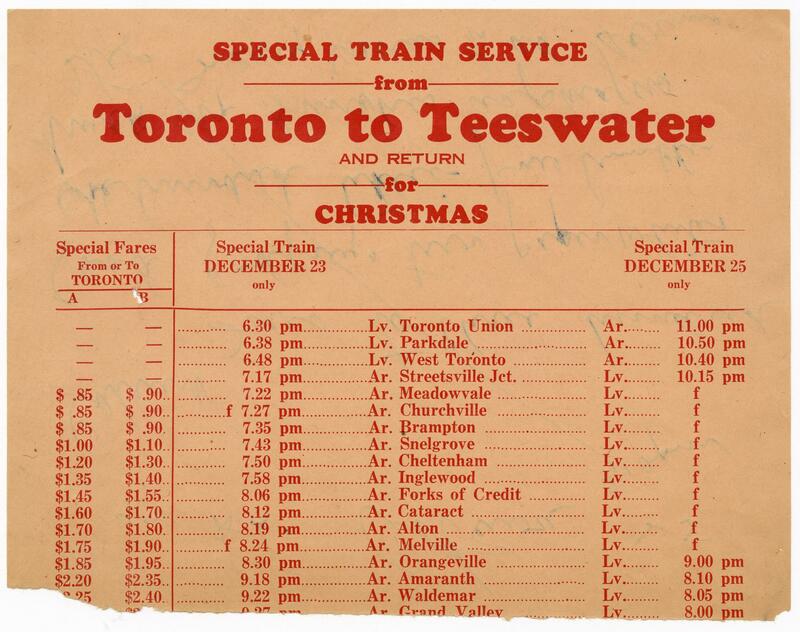 The majority of the fonds is comprised of waybills, with other material including memos, telegrams, shipping contracts, tariff policy documents, railway signs with notices to passengers, and a small amount of ephemera (including cancelled tickets and ticket stubs). Patrons wishing to view any of the above records are asked to book an appointment: PAMAarchives@peelregion.ca. Thank you!